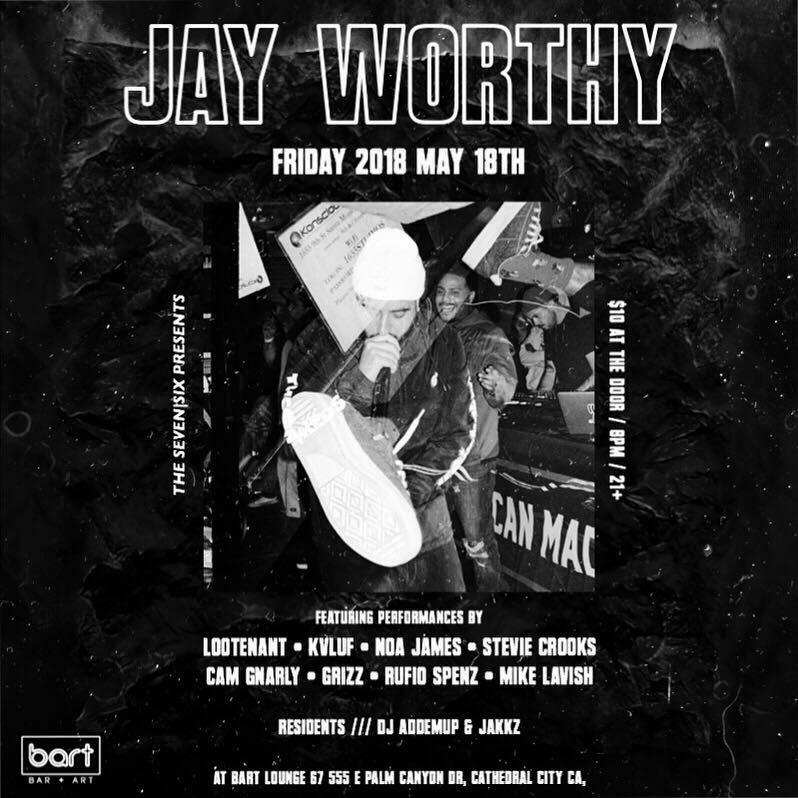 Online Sales Have Ended, Tickets Available at the Door! 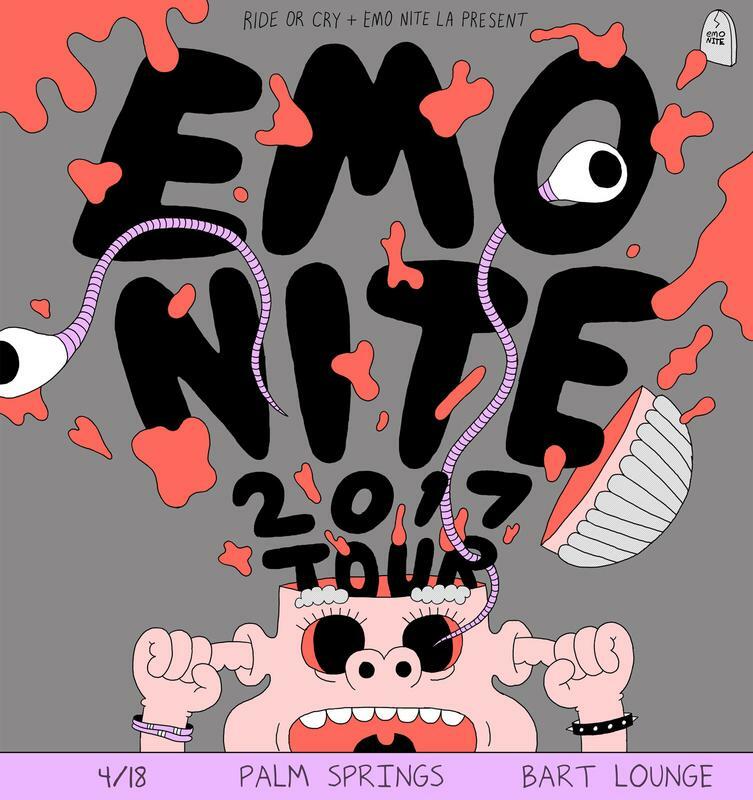 Emo Nite 2018 Tour in Palm Springs (Coachella Valley) on Tuesday, April 17, 2018, the week between the Coachella weekends! 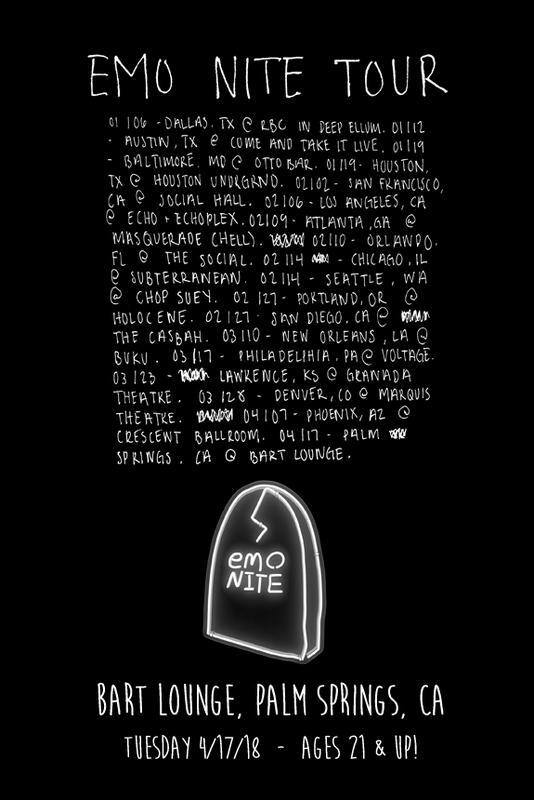 We will sell-out again like last year, so get your tickets early!